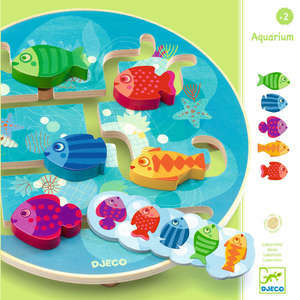 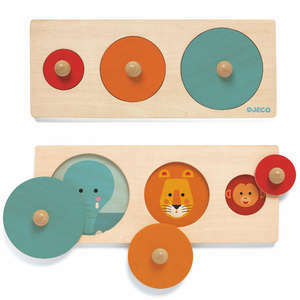 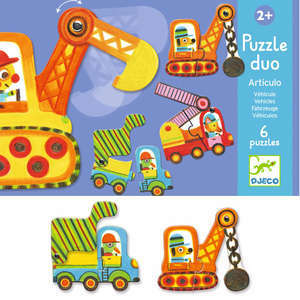 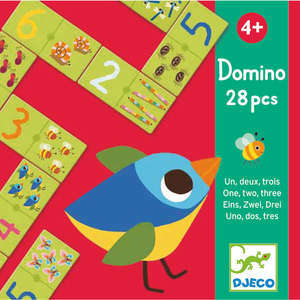 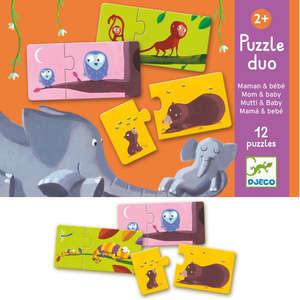 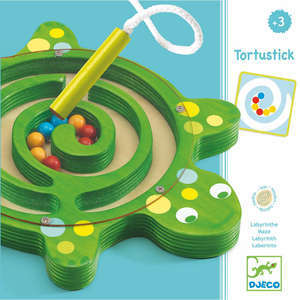 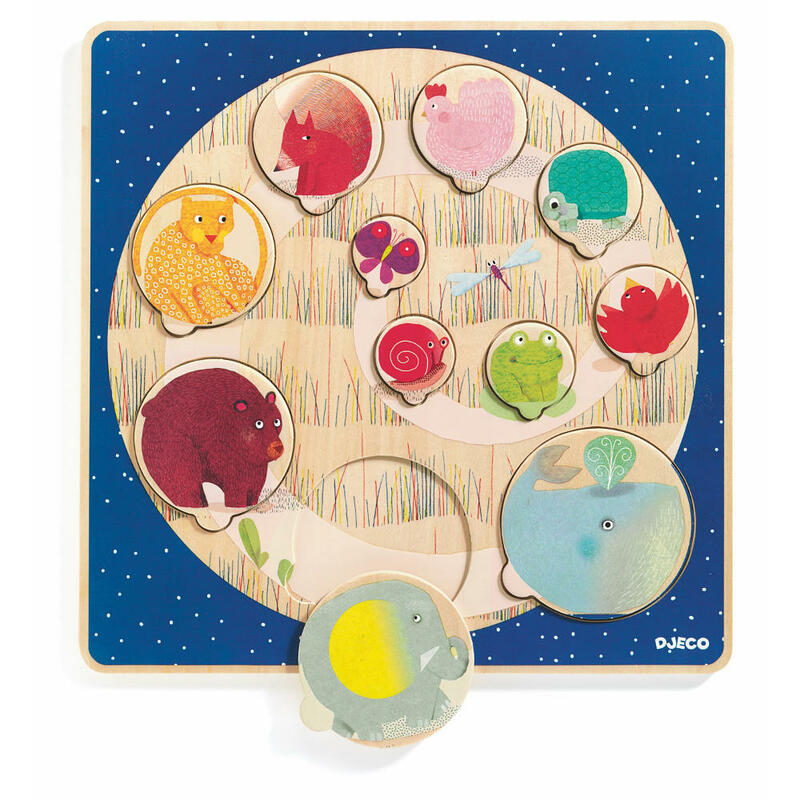 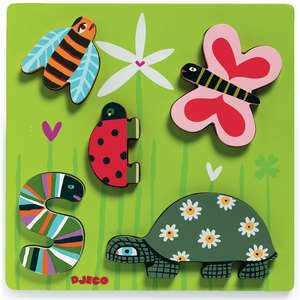 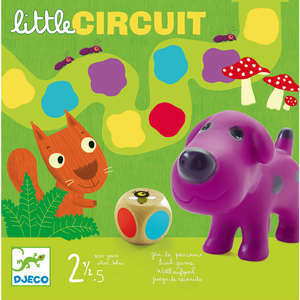 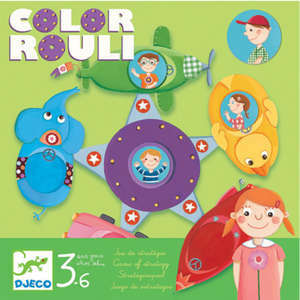 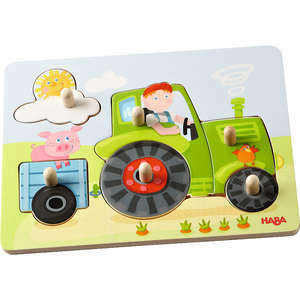 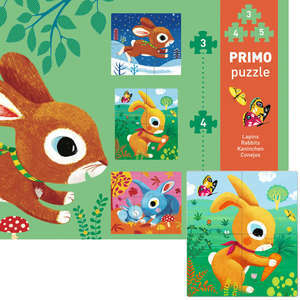 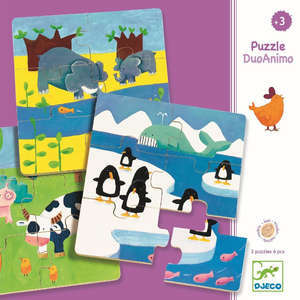 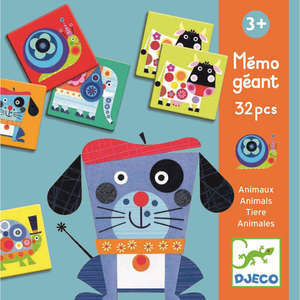 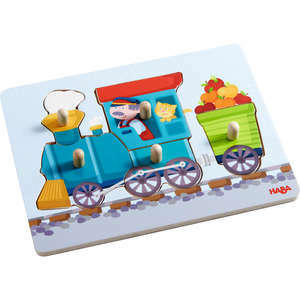 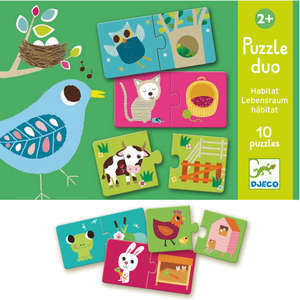 Adorable animal themed wooden puzzle from Djeco. 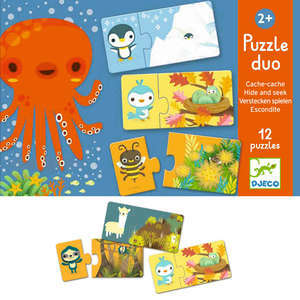 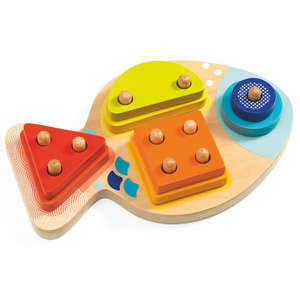 The lift out puzzle pieces feature colourful animals ranging from a small butterfly to a huge whale. 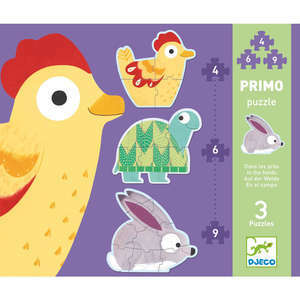 Arrange the animals by size from the smallest to the largest.